Groove and melody, heaviness and catchyness. These are a just couple of words describing the sound of Selfmachine. Like a bearded Michael Jackson driving a monster truck through the hills of Teletubbieland. The first seeds for this band were planted by bassist Mark Brekelmans after his previous exploits Xystus and Equilibrio came to an end late 2010. He wanted to start fresh, forming a band with a group of likeminded individuals without any musical restrictions or boundaries. After recording their debut album ‘Broadcast Your Identity’ in 2013, the band singed a worldwide distribution and promotion deal with Wormholedeath/Aural music. Now Selfmachine is ready to promote this album anywhere they can. The band holds the firm belief that a live-show should be more than just a bunch of guys on a stage, playing music. It should be an experience, something to engage in and something to remember. 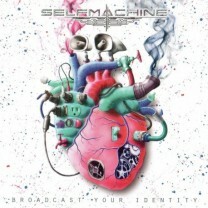 Selfmachine is there to have fun, rock your socks off and broadcast their identity!